Feeding, particularly at the end of season when there could be a lack of natural forage can set off robbing behaviour. 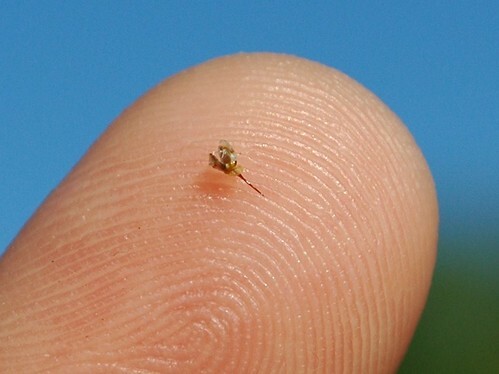 For this reason it's best to feed on the top of the hive and just a little before sunset. 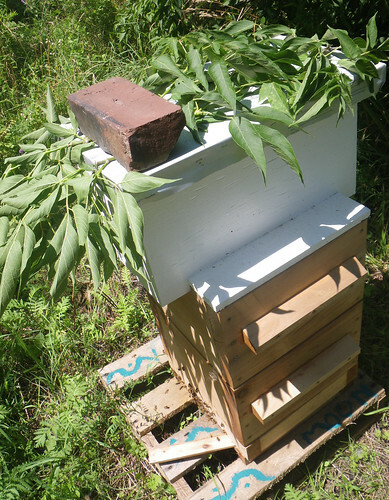 This year I added either empty hive boxes or ekes on top of the hives to make space for a plastic food container that is fitted with a wooden raft. The inspiration for which comes from this page which outlines a few different feeder setups. 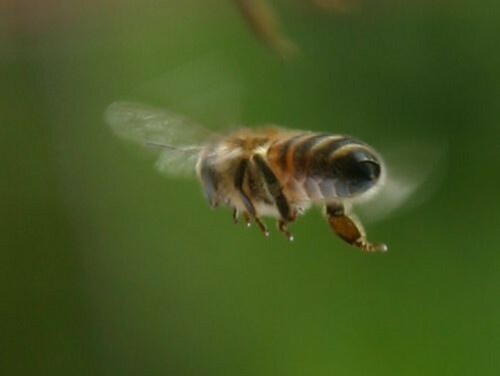 Apart from robbing behaviour, the other reason for which it is preferred to feed bees at the end of the day is that it makes the hive go absolutely nuts. 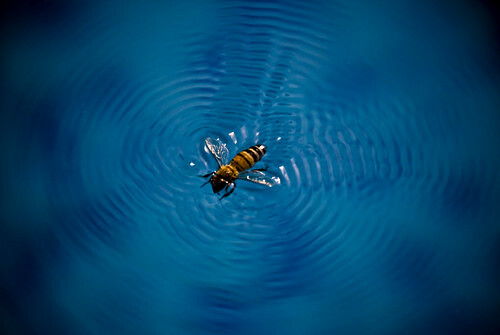 It seems that once a few bees discover this sudden source of sweetness they go tell their friends. 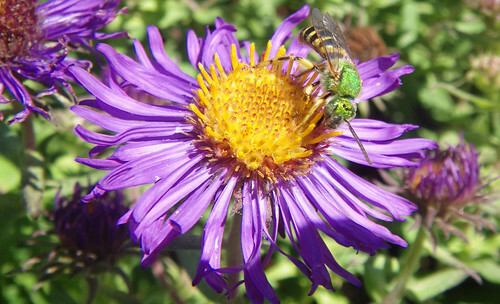 Naturally other bees will want in on the action and set off to look for this great source of forage. 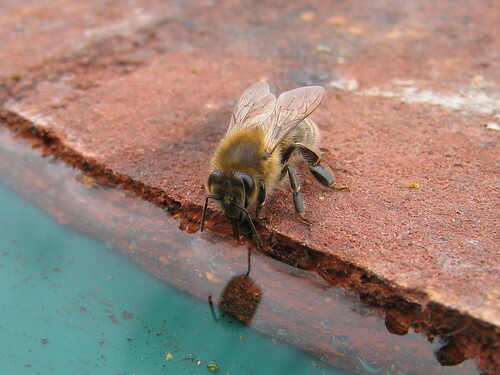 It should not be unexpected that they will look for food outside of the hive, that is, after all, where they usually look for nectar sources. 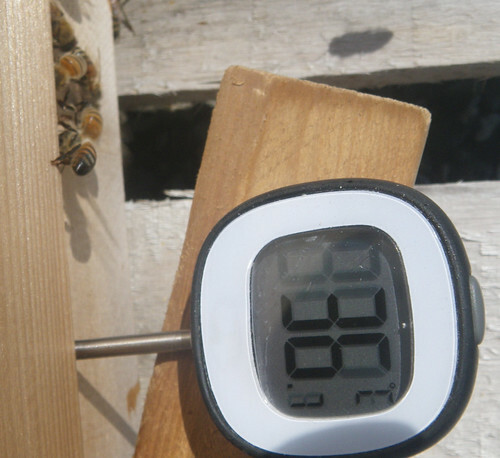 Very quickly orientation flights will commence and the bees will scour the immediate area for the food source which is actually inside their hive. 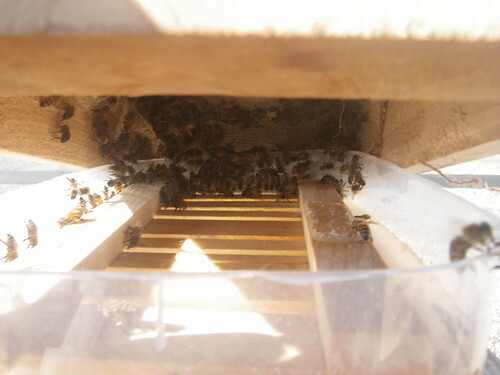 You can see in the above video that they will also be attracted to the smallest gaps around the feeder even if they are not big enough for them to get through. I personally feel it's best to avoid feeding all together if you can, however if you must feed, then feeding small amounts in the late evening is best. 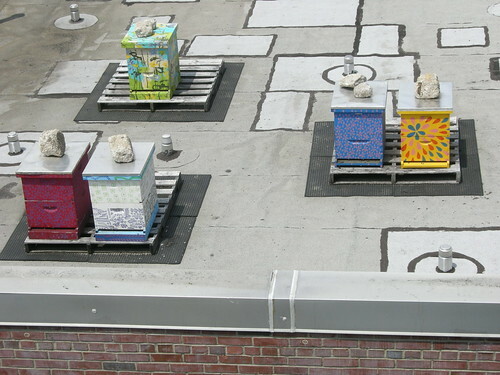 This is a particularly pertinent consideration for urban beekeepers. 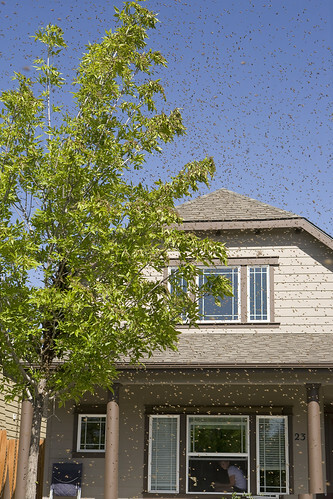 Though the mass amounts of bees searching the area for non-existent flowers may not act aggressively towards people, it is one of the situations where your neighbours are more likely to come into contact with your bees. In one case, when I returned 24 hours after feeding, they still had some syrup left in the feeder and they were still sending out foragers to find flowers. Upon arrival at the apiary, while I was still 75 meters away and two stories down from the hives, I already had a few bees buzzing around me. 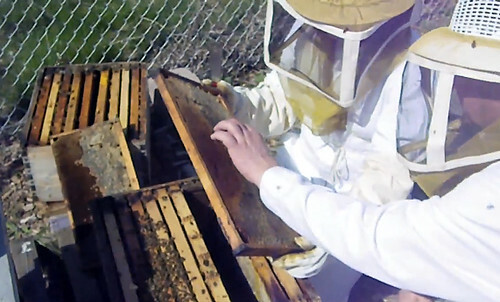 The following video of the hive entrance starts right after the colony had been given feed. 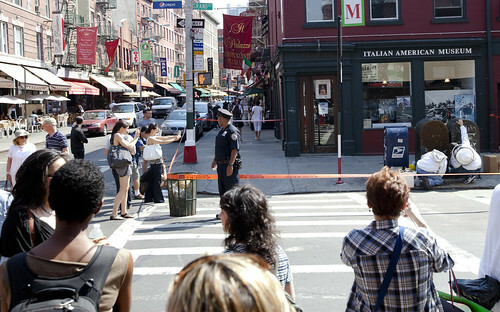 Each five second clip shows what the entrance looked like at one minute intervals. So by the end of the video you see what was happening roughly 18 minutes after feeding. 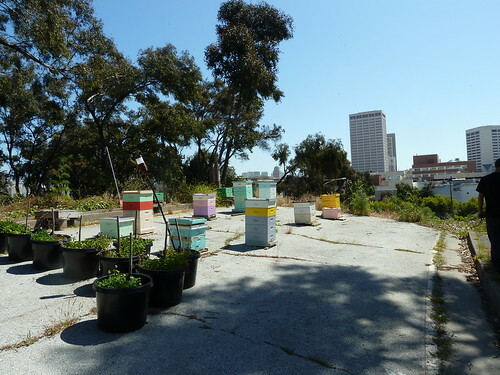 Noah explains the general reasons behind the recent push for urban bees and offers a few interesting stats on urban vs. country bee health and productivity. 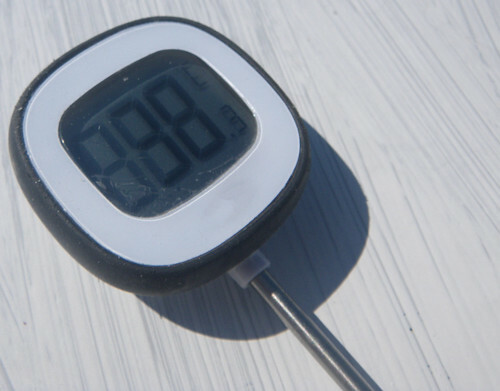 Start with our list of the top ten questions you need be think about before getting started. 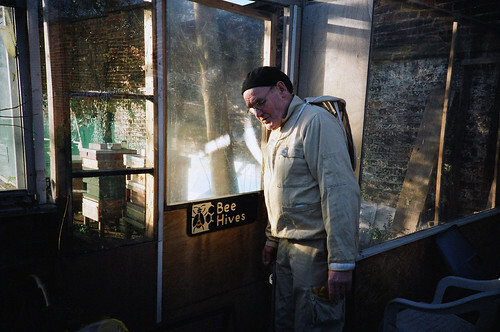 I also run a hands-on, season long, beekeeping course. More details on the Toronto Honeys site if you are interested in applying. As an city-boy the draw to beekeeping was simple. I was generally concerned about the environmental impact of industrial agriculture, and the quality of my food supply. 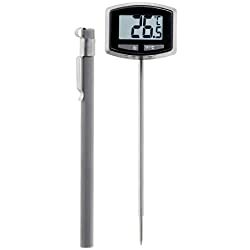 As a result I wanted to become more involved in the production of my own food. While working at a community garden I learned there was a group doing beekeeping. At the time the notion of keeping bees seemed like a wild dream. I do love honey so I decided being able to see how it's made was an opportunity I should jump at. 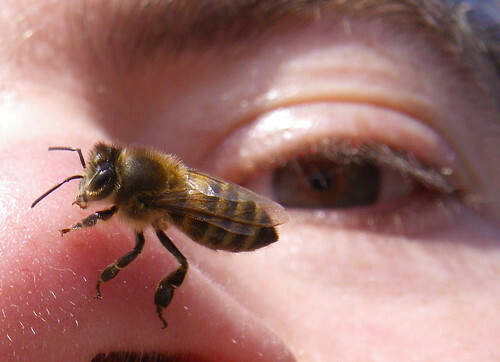 Never mind the fact that I had up to this point been afraid of bees and was uncertain if I was allergic to their stings. 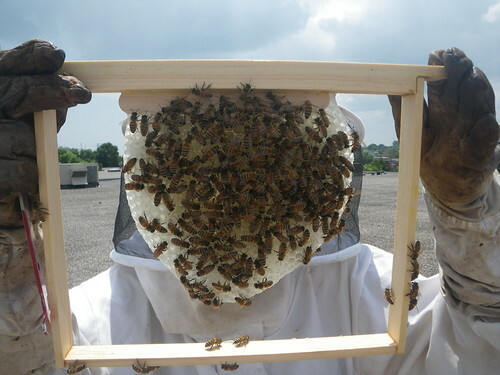 I was careful my first season as a beekeeper and didn't get stung at all. I've since learned that I'm not allergic and very few people really are. 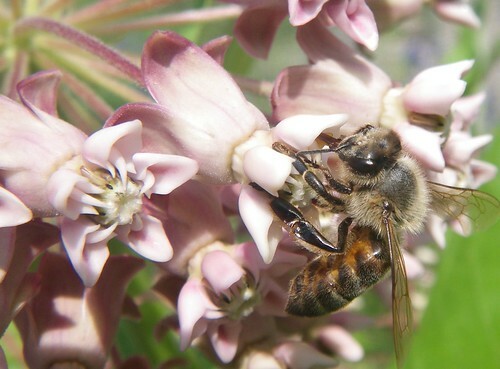 The greatest impediment to keeping bees in this city is the Ontario bee act. 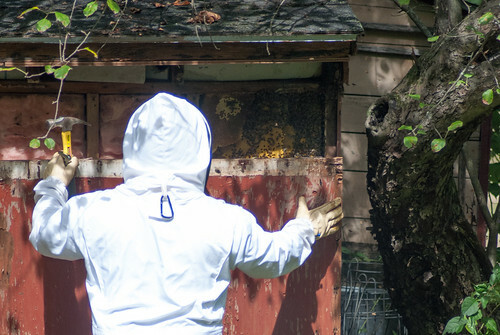 Though many cities around the world have recently opened up the doors to beekeepers, our provincial law specifies that hives must be kept at a distance of 30m from property lines (or 10m from highways). Though the act isn't enforced unless someone complains about your bees, it makes me reluctant to keep a hive at my own house and drives others to practice beekeeping covertly without the benefit of the provincial inspector. On the other hand there certainly seems to be wide spread interest in beekeeping, and many different parties are competing for locations. 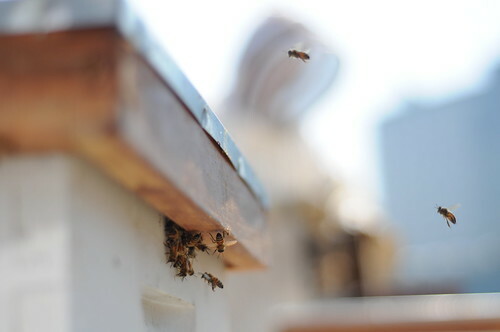 Without the 30m rule, we'd likely need some form of regulations around hive density or we'd see an over abundance of bees in the city similar to what has been reported in New York and London. 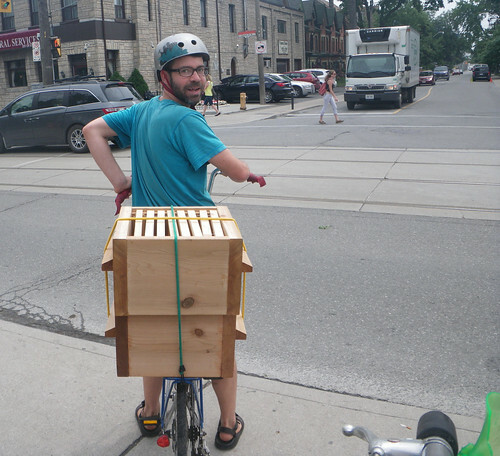 So far both the local media and the public have been very receptive to the concept of urban bees. So I can't exactly say public relations is a problem, but it is certainly something I think about a great deal. 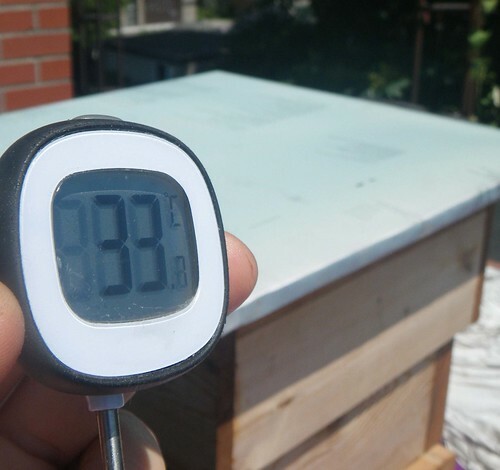 Many Toronto beekeepers are just jumping in and hoping to figure things out as they go. The problem is, even among those who've been doing this for a while, it's a very small minority that have a reasonable sense of what is involved in managing population growth. 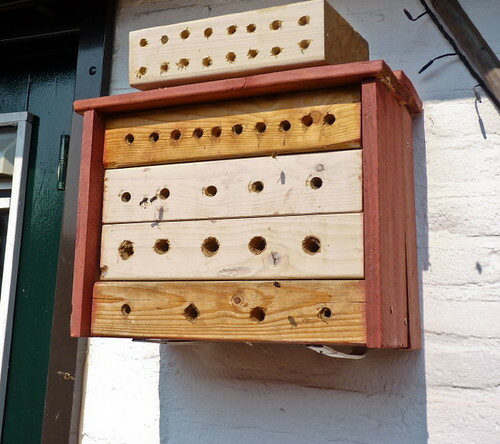 This has resulted in some overcrowded apiaries, lots of swarms getting away from beekeepers, and feral colonies setting up homes in places where they are not wanted and need to be removed. 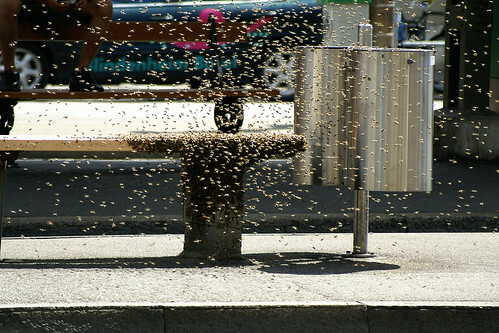 So far not a big deal, but I fear as our cities bee population grows we might see a backlash similar to what New York experienced after a few swarms clustered on busy public streets. With this in mind, I've put in a great deal of effort towards mastering the art of population control and have established relationships with farms where I can bring bees if my city locations exceed capacity. I'd also say some work still needs to be done increasing the general public's comfort level around bees, showing that these generally docile creatures are not a serious threat and that they differ from wasps. Why not move to a farm if you want to keep bees? Well, there is a great deal I enjoy about the urban lifestyle, but I probably would move to a farm if I saw it as a good opportunity for me. It's just very difficult to see myself becoming a full time beekeeper at this time. It's a profession that is facing some monumental challenges and it would make for a very risky career move. There might be a great deal of concrete here but there is also a great diversity of flowers. 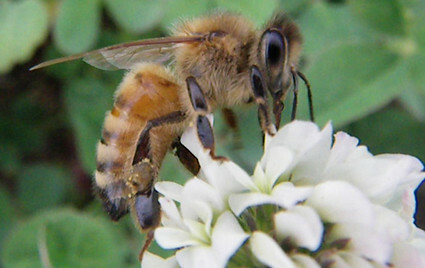 In contrast, much of our agricultural land has been transformed into large mono-crop operations that depend on the heavy use of pesticides which consequently makes it uninhabitable for bees. Where do city bees find flowers? The quality of forage varies widely by neighbourhood, a few well planted gardens here, a street lined with a bunch of the right kind of trees there, an empty lot over grown with wild flowers before being developed does add up. 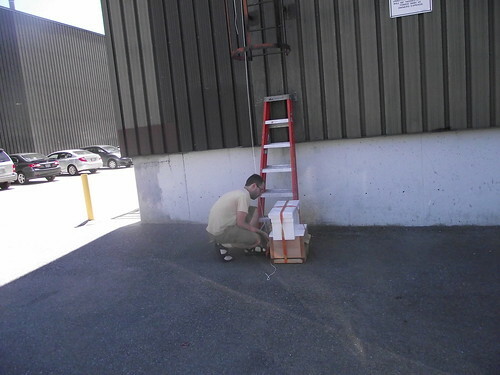 On the other hand, with some locations we've seen our hives consistently under-produce, and have had to accept that there was simply not enough forage in the area for the number of hives that had been set up in the area. Resonating Bodies - "A series of art and community projects which focus on pollination ecology, with special attention paid to the intersection of native bees, habitat and coevolution of plants and pollinators of Toronto, Canada and beyond"
Urban Toronto Beekeepers' AssociationThey've been meeting once a month since 2013. Meetings typically feature a speaker presenting a topic. They also have a facebook group. 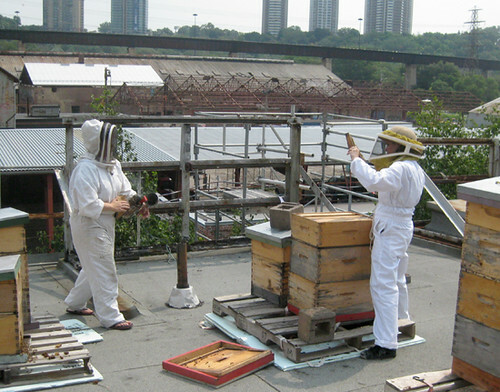 Toronto Beekeepers Co-op - This group has been operating at different sites in Toronto since the early 2000's. A limited number of new members are accepted every year. 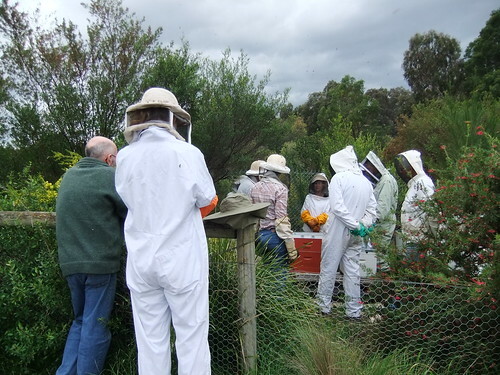 Members learn the art of beekeeping along side staff beekeepers through the collective management of the hives. 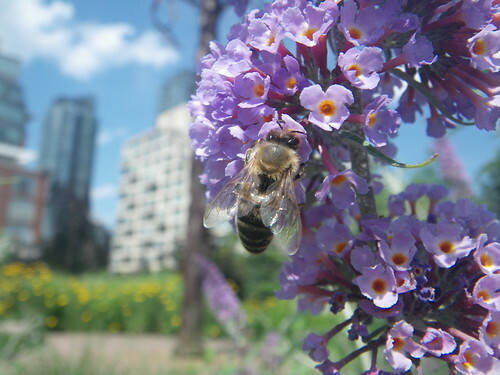 Toronto District Beekeepers’ Association - Membership is open to all. 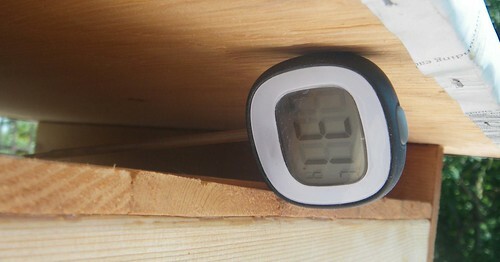 The groups meets once a month throughout the beekeeping season. The group has been around over 100 years and attracts all sorts of beekeepers. The meetings are held just a little outside of Toronto at the Kortright Centre in Vaughan. U of T B.E.E.S. 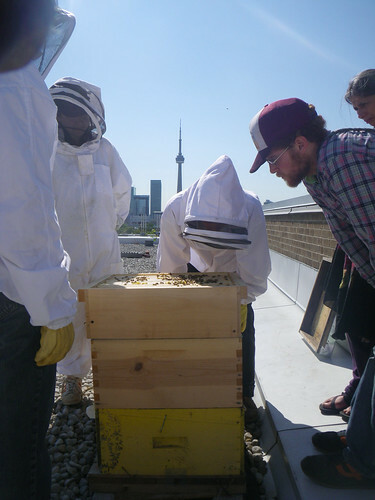 - The university of Toronto's student beekeeping club at the st.George campus. It's a bit of a niche market, and there's not a whole lot of options out there. If making a long trip it's not a bad idea to call ahead and make sure that they have what you need in stock. Propolis-etc. (Near Keele and Sheppard) - They also have a few shops around Ontario and Quebec. 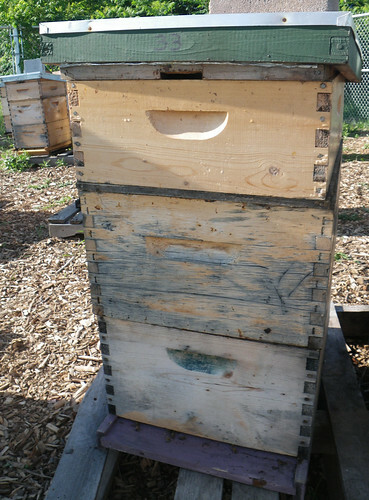 A list of equipment suppliers for all of Ontario can be found on the Ontario Beekeepers' Association's site. 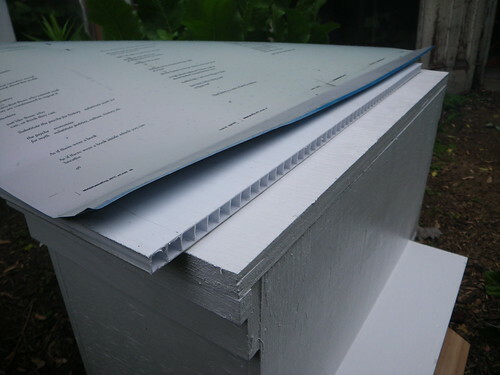 You can also have supplies shipped to you from Bee Maid in Manitoba.